The last time I wrote about whipping up a dish or two using instant food mixes, Linda of Out of the Garden suggested I should make it a series. 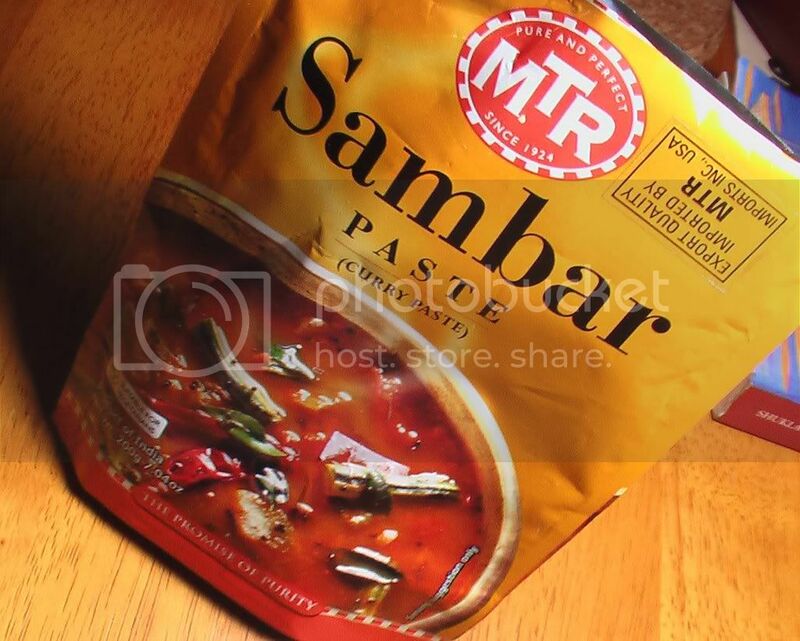 So here's the next post in the "quick fix" series - instant sambar using MTR's Sambar Paste! 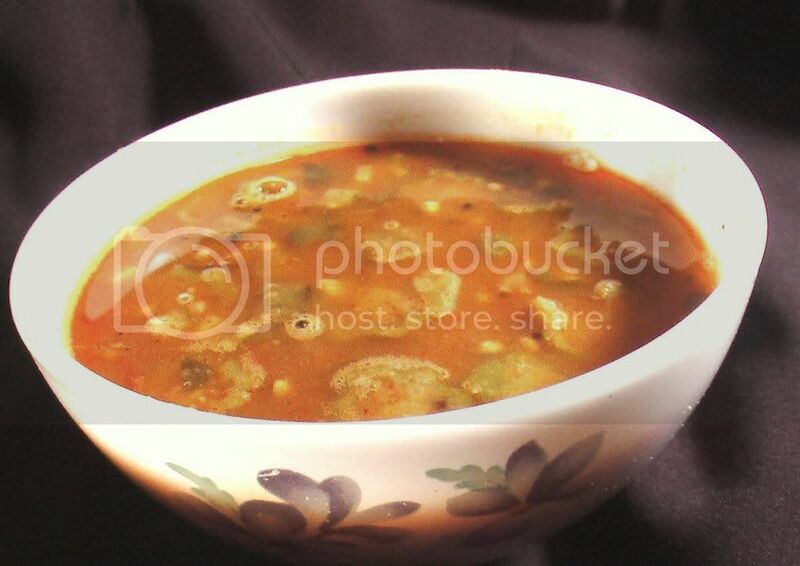 With the MTR sambar paste, all you need to do is boil toor dal and a vegetable or two that you like in sambar (I'm partial to vendakkai (okra) sambar!). You don't even need to add tadka (the paste includes mustard seeds, cumin seeds, etc.). 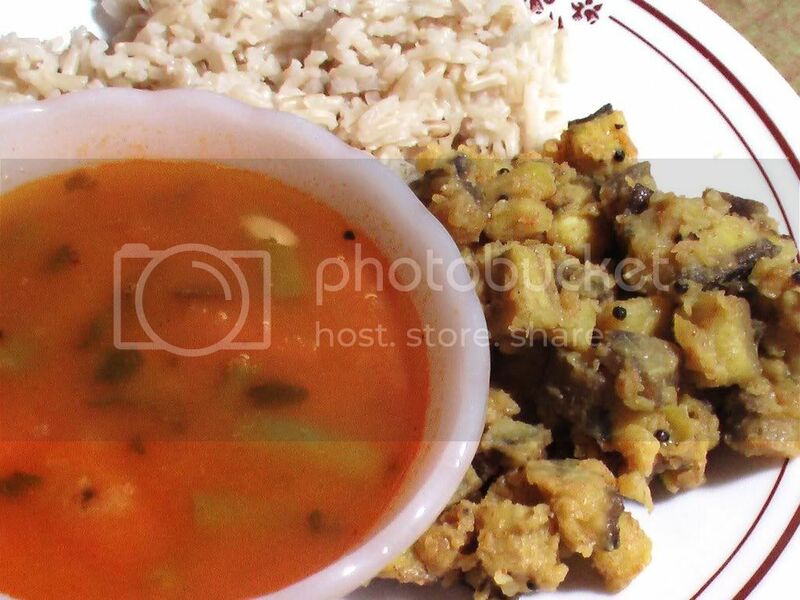 Boil water, add the sambar paste and the cooked vegetable, and after about 5-6 minutes, mix in the boiled toor dal. Let this cook for 5-6 minutes more, and add fresh chopped cilantro before serving. Compared to the Priya's readymade Sambar that I tried the last time, this one is much, much better. The next time you're in a time crunch, give this a try. I've spent the past few days agonizing over what to make for RCI-Karnataka, wondering which one of my favorite dishes to make. My mom had some neat ideas, as did a cousin who even emailed me a few recipes. 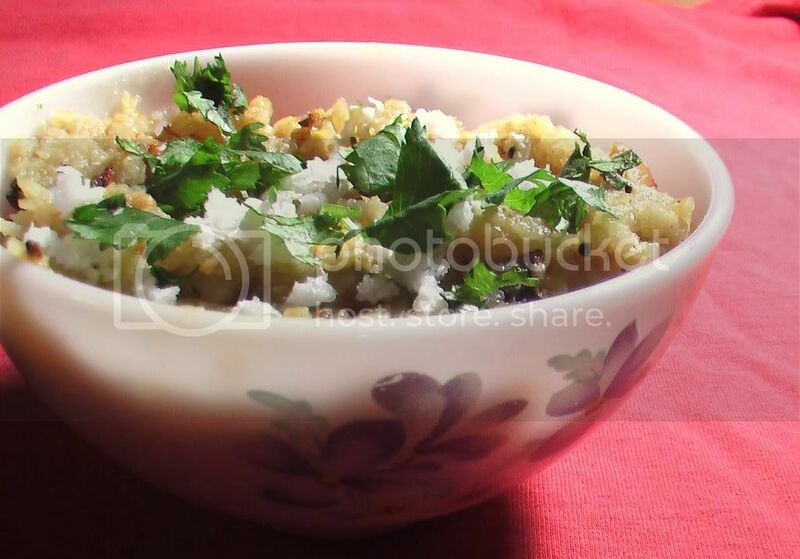 In the end, I settled on one that's never been a favorite - tamarind and jaggery flavored pohe (flattened rice). I figured this is as good a time as any to see if my tastes have changed...and what do you know, they have :) I know my mom will be surprised to hear this, but huli avalakki is something I'm going to try more often now. Asha - thanks for hosting this! Boil water and make a thick paste of the jaggery. Keep it aside with the tamarind paste. Soak the pohe/flattened rice in warm water for 2-3 minutes and then drain the water away. Then mix the tamarind and jaggery paste to pohe and let it soak for 15 min (in the U.S., the flattened rice is thin and cooks in minutes). Temper oil with mustard seeds, asafoetida, urad dal, red chili, and curry leaves. Add the crushed peanuts, cashews and almonds and cook for 2-3 minutes. To this, add the soaked pohe and some salt and mix well. Garnish with shredded coconut and cilantro and serve hot (with spicy potato chips?). This is our entry to RCI:Karnataka hosted by dear Asha of Foodie's Hope. The event was started by Lakshmi of Veggie Corner. I have talked about Michigan Blueberries before, but didn't get a chance to pick them up before this weekend. Since I picked up the pack of blueberries I have used it for our breakfast regularly. Yesterday I made blueberry buttermilk pancake, but forgot to take the picture. 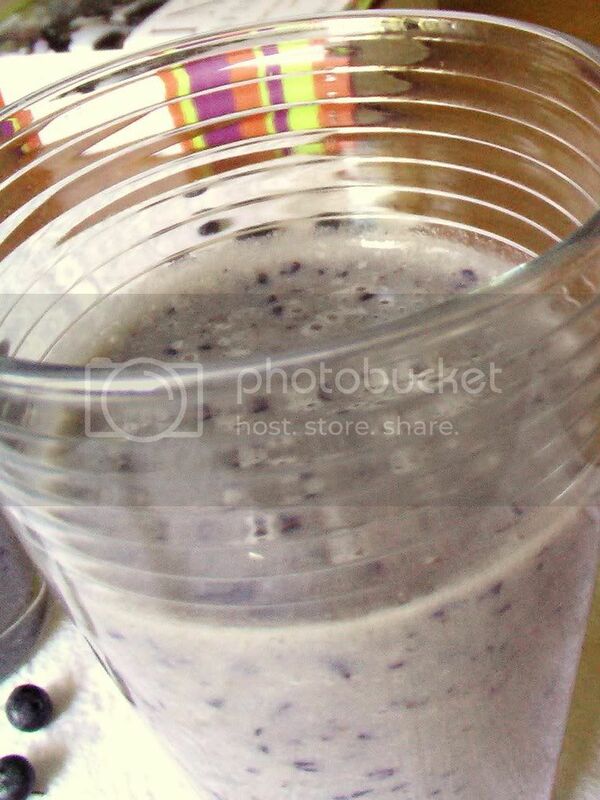 And today I made Banana Blueberry milkshake with honey. This has the consistency of smoothie, but made with milk instead of yogurt. This was a great way to begin this gorgeous weekend. To make the most of it, we decided to go canoeing. This was my first canoe trip, a 3.7 mile trip from Argo park to Gallup park and it was fantastic! It took us about an hour and a half to finish the trip! 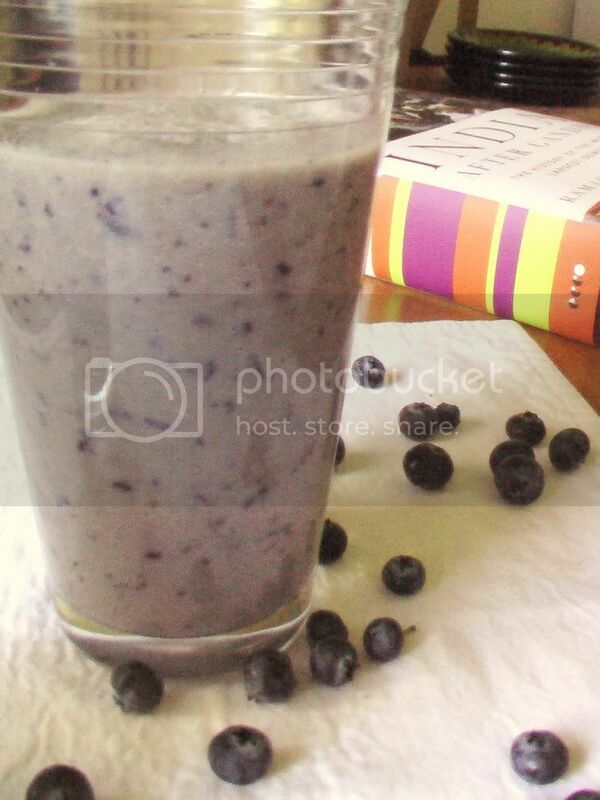 Just put everything in the blender and pour it to glasses and serve immediately. 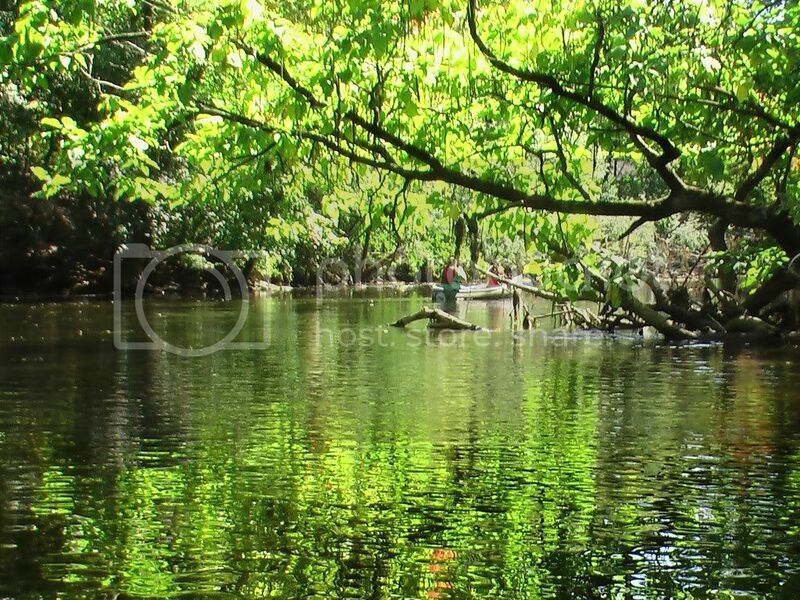 Here are some pictures from our canoe trip. 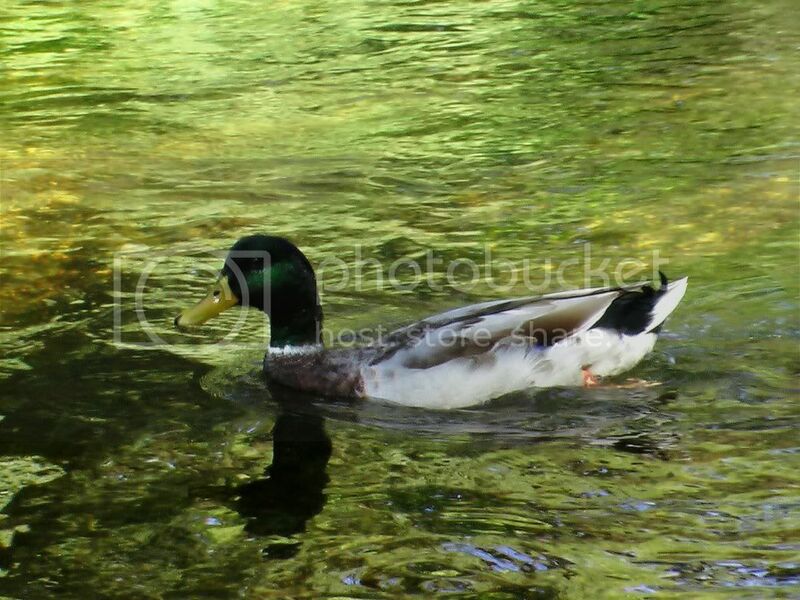 The day was warm, the water cool and we saw ducks, geese, heron and other birds on the way. It was the perfect end to the perfect day which began with a glass of simply delicious milkshake. It's beginning to cool down here and almost instantly our taste buds are craving spicy, hot food. During the summer we were voraciously consuming watermelons and now the watermelon sits in the fridge looking at us desolately. I guess I have to figure out a spicy watermelon recipe. But back to the recipe. 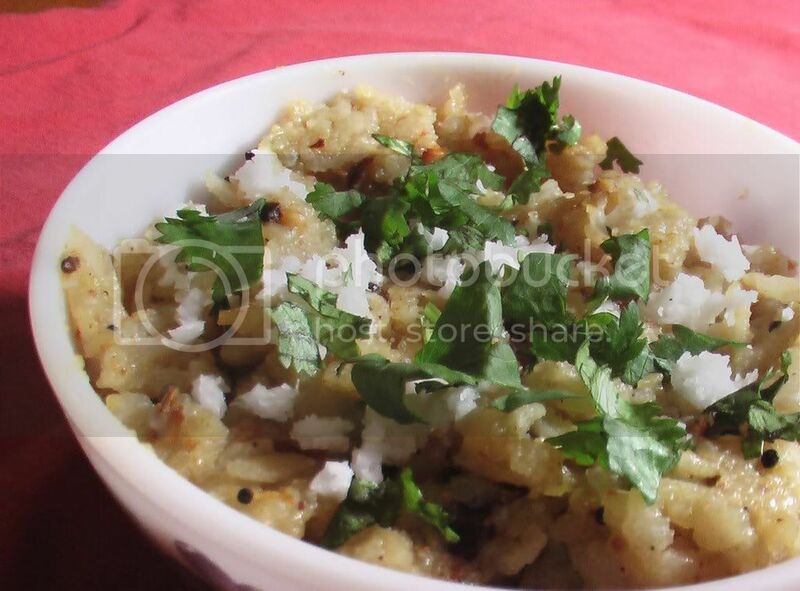 So this weekend we made dry plantain subzi to go with spicy sambar. And then sat in the dining room filled with sunlight to enjoy the meal. Steam the raw bananas for 7-8 minutes. Peel and cut them in cubes. Heat oil in a pan and temper it with asafoetida, mustard seeds, urad dal, chana dal, red chillies and curry leaves. Add the banana cubes and mix it well together. Then add turmeric, coriander powder. Stir gently taking care not to mash the banana. Let it cook on medium heat for 3-4 minutes. Then add salt and the fresh coconut and cook it for another couple of minutes. Take it off heat and serve warm. This is my entry for JFI:Banana. I have been trying to buy enough veggies to last for a week so that I can make a trip to the Farmer's Market. But I always buy too much. But it is hard to resist when there is fresh karela (bittergourd), lauki (bottlegourd), okra, eggplant , fresh greens, beans and many more stores in rows. I inevitably buy more than we need. While buying lauki from a old local farmer last week, we got talking. He told me about his wife who is suffering from Parkinson's disease and that he has taken over the chores of the house including cooking. We traded some recipes, and I couldn't help thinking how personal and touching this experience was for me rather than just going to a store. 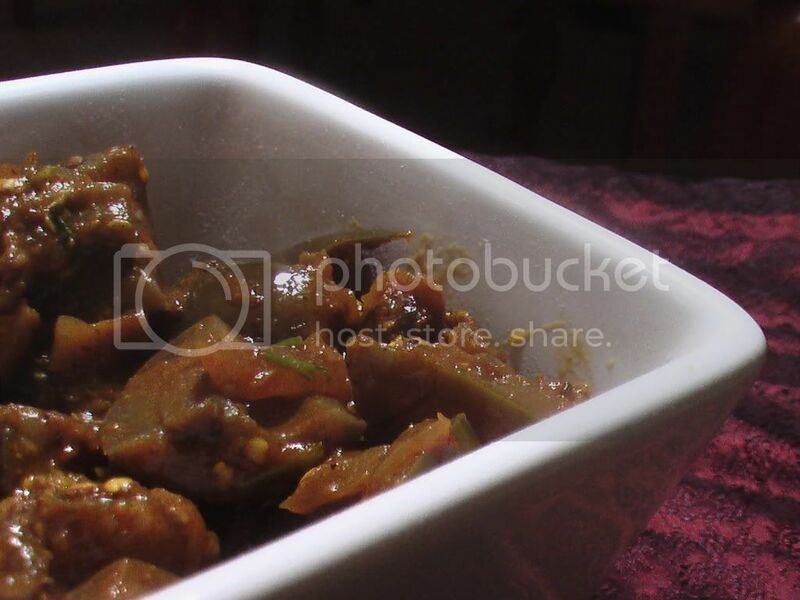 Back to the recipe, this is a simple eggplant recipe that I've tried with and without tomatoes. 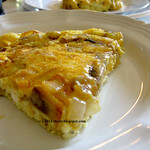 What I like about this recipe is that the eggplant doesn't turn mushy. It's simple and goes well with rotis and parathas. Cut the eggplants in medium cubes and soak it in water for 2-5 minutes. Heat olive oil and temper it with cumin seeds. Add ginger and saute. Then add the chopped onions saute. Once they begin turning brown, add the tomatoes, coriander and turmeric powder. Then add the eggplant and chilli powder. Mix well and let it cook on closed lid for 4-5 minutes. Then add salt and cook for another 3-4 minutes or till the eggplant is cooked. (Add little water if needed). Garnish with cilantro (optional) and serve warm. I have not been a great fan of beetroots. There, I've said it aloud! It's not that I don't eat it; I've had them in salads in restaurants. But somehow, I've never tried making anything at home with beets. So I don't know what I was thinking, but when I saw a bunch of fresh beetroots at the farmer's market, I decided to pick it up and give it a try. But what would I make? Ofcourse soup I thought and a spicy soup... surely that will be a good trial. The ingredients were simple ... beetroots cooked with onions, ginger and garlic. Topped with fresh cheese and cilantro, this soup certainly won our hearts and... our taste buds. Heat the chopped beetroots, onion, ginger, garlic and chilli with water in a large pot. Keep it on medium low and cook it with closed lid for 15-20 minutes or till the beetroot is cooked and soft. Puree it in batches in a blender till smooth and add salt and pepper to taste. Top it with cheese and cilantro and serve warm. Some lemon juice would also work well. This is my entry to the Annual Super Soup Challenge hosted by Running with Tweezers. The long weekend was just what I needed. Relax, rejuvenate and get away from the routine of the busy week. And after long conversation with my mom (and getting recipes for JFI: Banana! 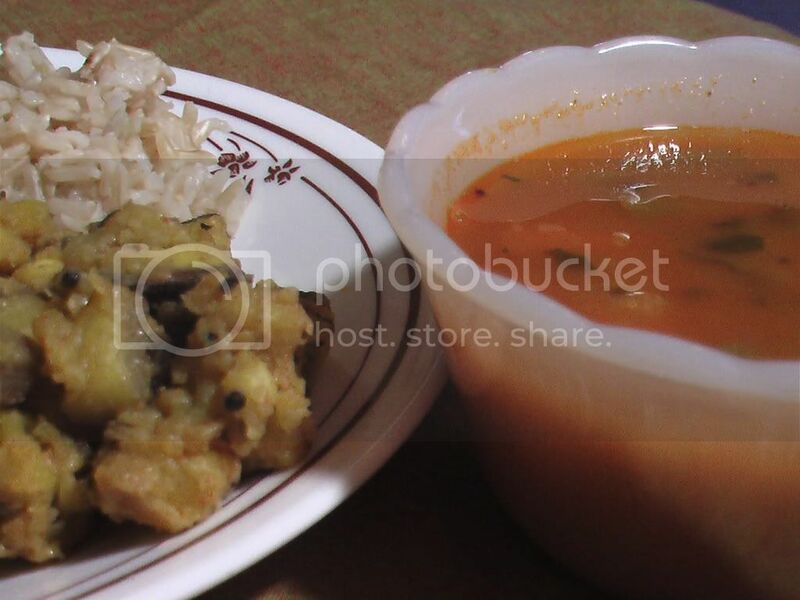 ), I was in a mood for some Bengali meal. It was during this time, I came across the recipe for Chicken Dahi Bahar in Barnamala. The recipe was similar to our sunday chicken curry which I have blogged about before, yet just a little different. So I tweaked it, like I usually do, and set to work. Along with Pita and salad, it was a great meal fit for lazy afternoons! Mix chicken with half turmeric, ground pepper, yogurt and set it aside for 2-3 hours to marinate. Heat oil in a pan and temper it with cumin seeds and green chillies. Then add onion and garlic. Saute on low to medium heat for 8-10 minutes. Add the corriander & turmeric powder, and saute till it all mixes well together. Then add the Chicken yogurt mix & salt. Cook on medium heat stirring at regular intervals for 12-15 minutes. When the oil separates, add 2/3 cup water, and the tomatoes. Let it cook on medium low heat for another 4-5 minutes, or until the chicken is cooked. 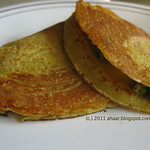 Sprinkle chopped cilantro and serve hot, with rice, naan, chapati or paratha. It's time for me to host this month's Jihva for Ingredients. This was started by Indira of Mahanandi and I thank Indira for the opportunity to host this round. I've come to associate JFI with a celebration of ingredients and recipes - exotic and regular - fit for special occasions and everyday meals. And the more I thought about it, I wanted to feature an ingredient with the same features. And I picked Banana! We use almost every part of banana plant in our meals - raw banana, ripe banana, banana flower, banana stem - in our everyday meals and for special recipes reserved for festivals. And of course, serve food on banana leaves. The true origin of Bananas, world's most popular fruit, is found in the region of Malaysia. By way of curious visitors, bananas traveled from there to India where they are mentioned in the Buddhist Pali writings dating back to the 6th century BCE. In his campaign in India in 327 BCE, Alexander the Great relished his first taste of the banana, an usual fruit he saw growing on tall trees. He is even credited with bringing the banana from India to the Western world. Banana has been mentioned in the Buddhist Pali writings dating back to the 6th century BCE as well as in national epic poems of India. The popular name Banana was given by Arabic slave traders. 1. Prepare a dish with banana (green or ripe), flower, stem, or any other part of banana plant, and post it on your blog in the month of September. The choice of recipe is not restricted to Indian cuisine. 2. Please link to this event announcement. 3. 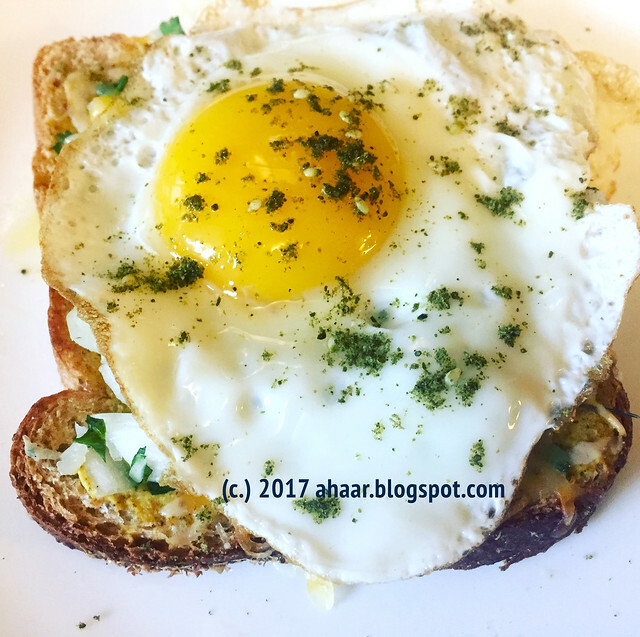 Send me your recipe with the name of the recipe, name of your blog, permalink of the post and a picture (400x250) of your blog post to me at ahaarmail@gmail.com. Please include JFI in your subject line. 4. 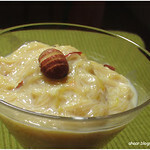 If you are a non blogger, please e-mail me your recipe and picture and I will include it in the roundup. 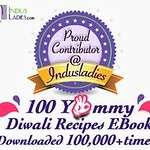 I am looking forward to your creative ideas, essays and recipes. Update: Plantains are starchy, low in sugar variety of bananas which trace their origins to India. The difference between banana and plantain is that plantains have to be cooked before eating. You can also use plantains for this round of JFI.